President Abraham Lincoln signed the Homestead Act in 1862. Because of much confusion, controversy, and border disputes over land, steps had to be taken to reorganize the conflicts after the Civil War. Wealthy farmers were buying out destroyed plantations and smaller farms, leaving many without jobs. Slavery was over and those who had been freed were in need of new opportunities as well. People were looking to the West for fresh beginnings. Over 600,000 people migrated west to start anew. They experienced great physical challenges of weather, wind, blizzards, plagues of insects, and animals. As much of the land was treeless there were no convenient sources of wood for heating, cooking fires, or building shelters. 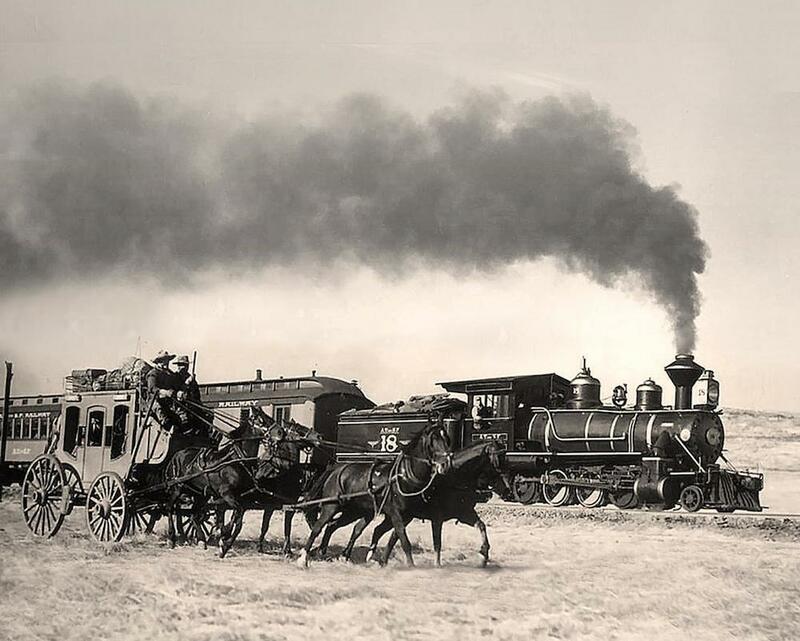 In 1862, the Pacific Railroad Act was signed and the many newly built railroads provided easier transportation for homesteaders, their goods, and animals. No longer did they have to face the long overland treks. Settlements and towns were established along these rail lines. Transportation of products from the East also became easier and quicker. Because of railroads, growth in the West grew exponentially.